We all attach labels to ourselves – it is how we describe who we are – but we can become too attached to a label for our own good. The label of mother is particularly intoxicating to some of us and when it becomes that way, we can lose any perspective of our own lives and can undermine all our best intentions. Personally, I was attached to the journalist label in a very unhealthy way. I relied on it heavily to define my self-worth and value for a long time, and truth be told, the attachment still raises its head sometimes because I can see that the title or job description impresses other people. Walking away from that career has been a difficult, and at times painfully sad, process even though I have no regrets over it. The problem was that I was overly attached to the label. I invested much of my self-worth in the title of what I did, as opposed to just being who I am. It took a while for me to understand that I will always be a journalist – the credentials, experience and ability don’t disappear when you leave the newsroom – and that it was the attachment to the label that was actually causing me pain. The same perspective can be applied to being a mother. We will always be a mother even though our kids will need us less and less as they grow, so our role as mother changes, even diminishes, a little. If we are too attached to the label of mother, the inevitable growth and independence of our children will end up being a painful experience, possibly for our children as well as us if we insist on hanging on to them for dear life because we need them to need us. We can be proud of what we do as mums, do it to the best of our ability and of course always be there for our kids, but losing yourself in the label of mum can set you up for negative feelings about yourself, particularly as your children become independent of you or if you find it less fulfilling than you expected or hoped. There is a difference between enjoying your role as a mum, and defining yourself and your life by it. It can be an easy trap to fall in to – parenting is an all-consuming role especially when children are tiny. Making time and space for you and all the different facets of life that you enjoy however, is the simple antidote and it will give you the opportunity to live a full life, instead of one restricted by a label. 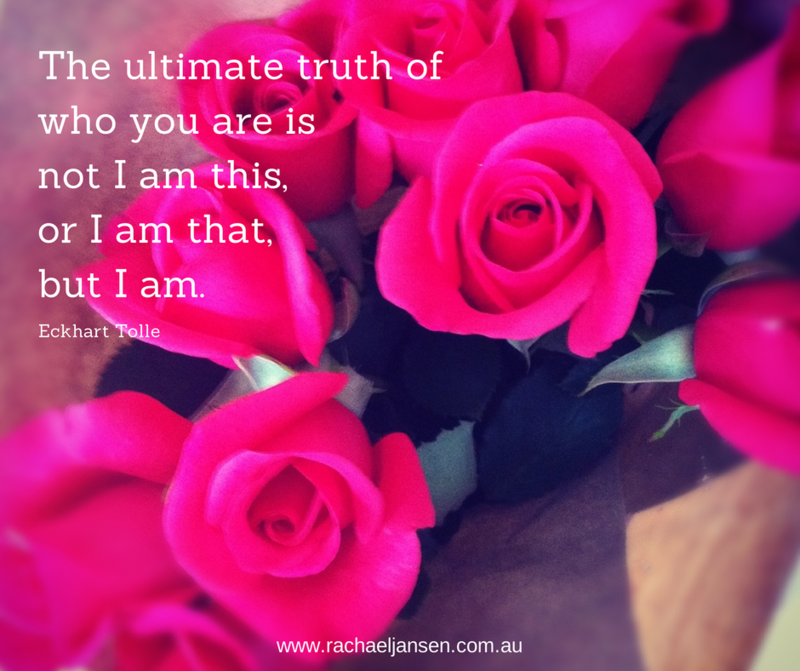 Can you relate to feeling too caught up in a label or way of defining yourself? Leave a comment if you feel compelled to do so ~ or please, share or like the post on your social media of choice! Haha Sara! My two have been on a similar receiving end! So, so glad you value yourself as a complete package, and not just as a mum. And I know your children will respect you for it too (eventually 🙂 ).